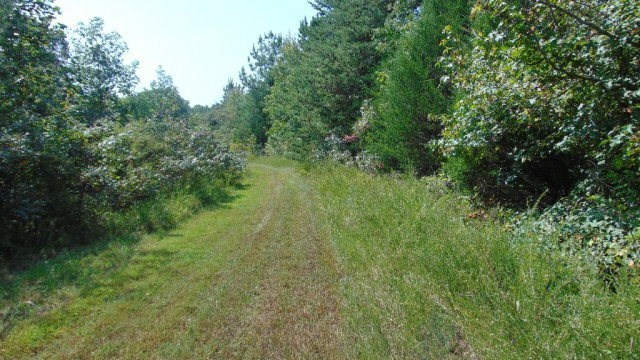 Sandy Trail Vernon Hill, VA. | MLS# 40377 | PALMER PROPERTIES OF VIRGINIA LLC (434)575-2417 - We specialize in RESIDENTIAL, FARMS, BUILDING LOTS, ACREAGE AND COMMERCIAL properties in SOUTH BOSTON/HALIFAX COUNTY, CLARKSVILLE/MECKLENBURG COUNTY, DANVILLE AND SURROUNDING AREAS. 6 acre wooded lot with a nice stream boardering the back of the property. Very private all wooded. Would make a nice getaway spot. Site plans have been completed but perk test has not. The gravel drive is a 50' deeded access.